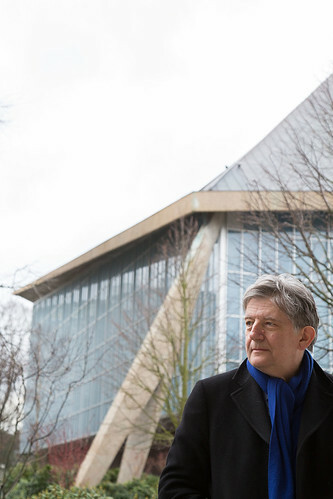 Design Museum director Deyan Sudjic yesterday announced the date – Thursday 24 November 2016 – for the somewhat delayed opening of the museum’s new home in Kensington. Top: Design Museum. Both photos: Luke Hayes. Addressing a press conference at auctioneers Phillips in Berkeley Square, Sudjic, along with deputy director Alice Black and chief curator Justin McGuirk, presented a short video, with narration by founder Terence Conran, which included contributions from Jonathan Barnbrook and Morag Myerscough. We were told a little about the plans for the display of the permanent collection, and the inaugural exhibitions for the new space – in the former Commonwealth Institute – in ‘Albertopolis’, a part of West London that is home to several museums (Victoria & Albert, Science, Natural History) and the Royal College of Art. Design Museum Kensington, ground floor. Visualisation: Alex Morris. The first three exhibitions announced are: ‘Fear and Love: Reactions to a complex world’; ‘Designs of the Year’, which will be in its ninth edition, and a permanent display of the museum’s collection, ‘Designer Maker User’, which will be free to all. 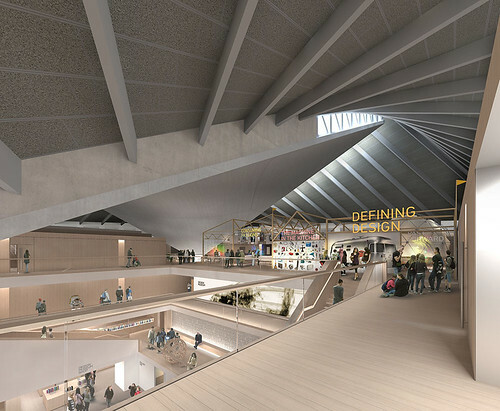 The team behind the new museum includes architect John Pawson and graphic designers Fernando Gutiérrez, Cartlidge Levene and Morag Myerscough. Design Museum, Albertopolis, London. Photo: Luke Hayes. 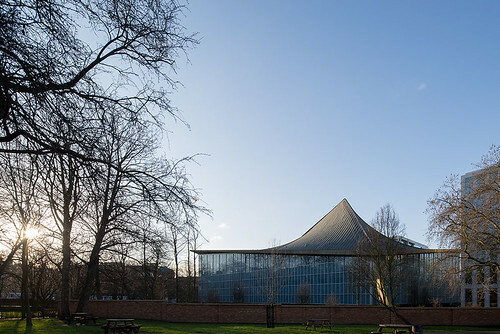 The copper roof of the building, formerly the Commonwealth Institute, is a hyperbolic paraboloid. Black stressed the importance of workshops, the Designers in Residence scheme and other visitor events in encouraging visitors to discover design through a museum trip, of enticing people away from their screens. 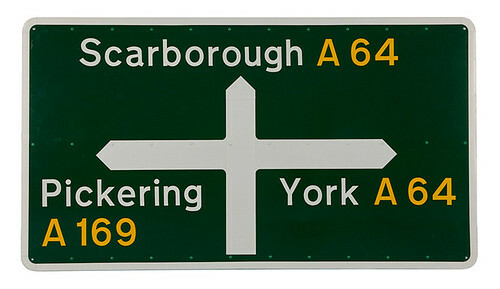 British road sign system designed by Jock Kinneir and Margaret Calvert, 1960s. McGuirk said that ‘design is about more than objects’, pointing out that designers deal with systems and issues, and that part of the challenge of the renewed, reopened museum is to find ways of expressing and explaining non-physical examples of design through installations (and the like) within the generous space of the new building. Design Museum permanent exhibition, top floor. Visualisation: Alex Morris. All the Design Museum staff and their associates displayed visible relief at being able to announce an official opening date. 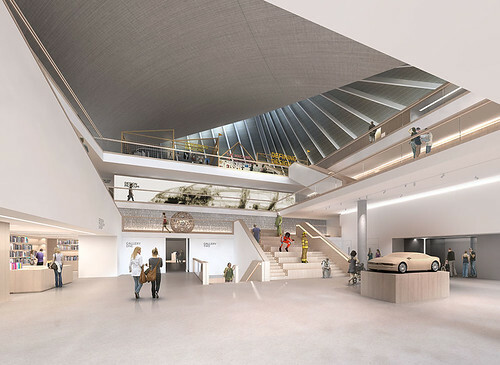 The Museum was originally slated to open in 2014 – see ‘One day, all this will be yours’ on the Eye blog. 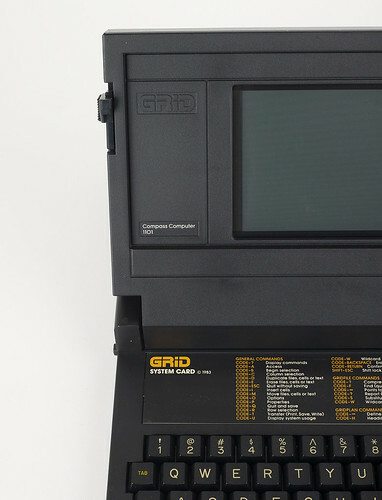 GRiD Compass, the first laptop computer. Designed by Bill Moggridge. To this end a wall of objects near the entrance will be crowd-curated via the museum’s website. Members of the public can select items from the Museum’s permanent collection, which includes Ettore Sottsass and Perry King’s Valentine typewriter for Olivetti; Jock Kinneir and Margaret Calvert’s British road signs; the Obama ‘Progress’ poster by Shepard Fairey; and the first laptop computer by Bill Moggridge. 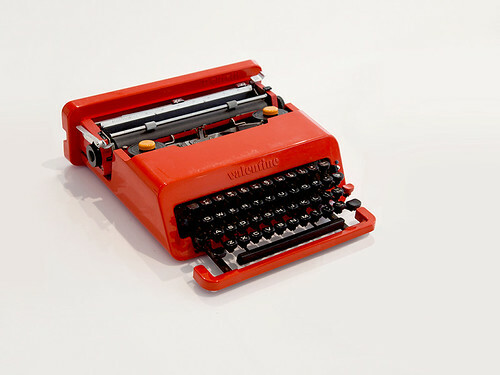 Olivetti Valentine typewriter. Designed by Ettore Sottsass and Perry King. 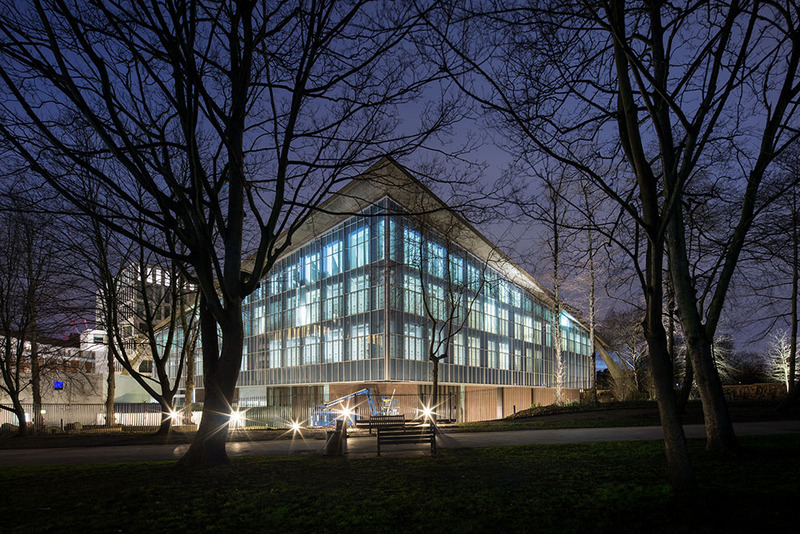 The Design Museum opens on Thursday 24 November 2016. For more details, see the museum’s website. There will be an auction, ‘Time for Design’ (to help raise remaining funds needed by the museum) at Phillips in London on Monday 28 April 2016. Sit down and make yourself comfortable. 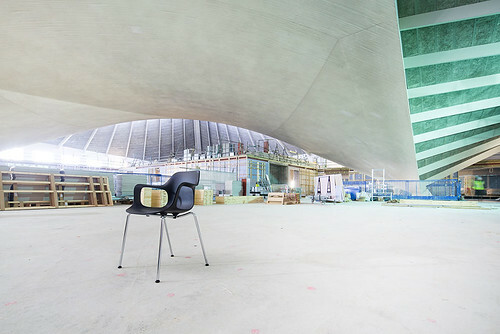 New Design Museum interior with solitary Vitra chair. The museum’s commercial partners include the chair manufacturer, publishers Phaidon and . Photo: Luke Hayes.